News and reviews of things ..
Jynxbox has been featured earlier on Androidistica and now they have a new device on the block . The Jynxbox M8 is packing some serious punch when it comes to hardware. We are talking Quad-core, Cortex A7@ 1,2GHz. A Mali400MP2 GPU and 1GB of DDR Ram. Built in 8GB of EMMC Nand storage should get you started and get you onwards to begin with. There is 1 HDMI port with 1920 x 1080P, RCA out for audio , 2 USB 2.0 and 1 USB 2.0 OTG. 1 Ethernet port (10/100MBIT) and a built in Wifi supporting a/b/g/n . A Wifi Antenna has also been added to the gear , which should help connecting with Wifi naturally. 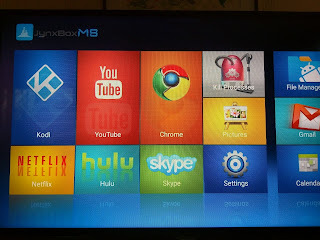 The Jynxbox is rocking Android 5.1, with Google Play store and the famous Kodi preinstalled. 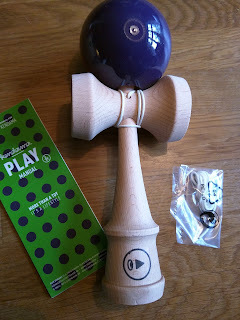 Included in the package is also a manual ,HDMI cable, a remote controller and batteries included. So that's the hard and soft stuff we have at hands . How does it play out then ? Initial setup works as coded. Plug in the power and HDMI cable, push the physical power button and off we go! Choose your screen resolution, adjust the screen position and key in your google account details. The last step can be skipped of course and you still land on the Homescreen. Preinstalled apps are Netflix, Kodi, Youtube , Facebook, APK Installer and Google Play Store. There is also a photoviewer and file browser included. 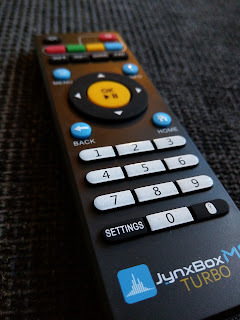 The Jynxbox M8 responds really quickly to any remote controller input and a neat feature which is also included is the OTA update manager . So what software do we have ? As mentioned earlier, there is Android 5.1 , preinstalled with a handful of apps. As you can see in the screenshot it is the usual ones for many of us. Netflix, Youtube, Gmail ,Chrome webbrowser, skype, calendar, a file manager and Kodi. We also have a default video player, image viewer, speech recorder, Google Playstore, an APK Installer and Devtools. For the review , a couple of apps was installed. Bushido bear, Creepy and a Bandwith counter. Now for gaming, you might want to use a keyboard and a mouse. Gaming with the remote control does give you the option to switch between "mouse - mode" and "Regular - remote" mode. For easier games, where quick action is not essential the remote might do well, but for the likes of Bushido bear and Creepy, the remote did not work well. As far as bandwidth with the built in WLAN adapter , which is enhanced by a antenna, the speeds were satisifying. On a 24/12 MBit connection with the ISP were having, the Jynxbox M8 went all the way up to 13Mbits down and 2,5 MBits upstream. This is pretty good on a wireless connection, the speeds surely picks up even faster on the built in Ethernet adapter. The Jynxbox M8 has decent hardware , there is no doubt about that. Using it as a Media streamer device, or even as a desktop replacement it does the job well. The remote is responsive and lightweight in hand, and the software loaded onto the Jynxbox works as coded. Some apps seem to go into portrait mode, even though landscape mode is what the Jynxbox presents, this is undigged into by me why but it could be that apps sometimes get installed in "phone mode" due to the fact that Google Play Store does not recognize the hardware on the Jynxbox ? Gaming was not extensively tested here, but with the proper third party keyboard/mouse or gamepad combinations , the Jynxbox surely can run most of the games out there today. Software updates are handled by the Jynxbox Team themselves, you can find the firmare updater in "Settings" under the "About " section. Looking to upgrade your Flatscreen TV to a "Smart-TV" ? The Jynxbox M8 is your device! Need an extra device to run a webbrowser, check some series or movies and write documents ? The Jynxbox M8 could also be your device ! Zyxel HD Powerline Starter Kit. @androidistica. Simple theme. Powered by Blogger.